For which Sailor Moon characters আপনি think they're smart? Is Hotaru's Japanese name Hotaru-chan অথবা Hotaru-san? She has two pet crows named Phobos and Deimos who, in the manga, are her guardians. Despite being a miko, she attends a Catholic high school. She is portrayed as being very জনপ্রিয় and well liked in school, despite her temper. Rei's personality is different in the জাপানি কমিকস মাঙ্গা where she is আরো serious and she does not trust men. Except that, she easily captivates those who see her and has many admirers. Setsuna is the oldest of the nine Sailor Senshi; in the R season, she is a college student while the others are still in middle অথবা high school. Despite being the eldest, Sailor Pluto never assumes any type of official leadership role. Even among the Outer Senshi, she frequently defers to Uranus and Neptune. Black Lady was the form Chibiusa took when she was turned to evil দ্বারা Wiseman. Dark Mercury, who has also been referred to দ্বারা the unofficial nicknames of Darkury অথবা Dark Sailor Mercury outside of the series, was the evil form of Sailor Mercury who appeared only in Pretty Guardian Sailor Moon. She first appeared in Act 21, after Sailor Mercury was kidnapped and brainwashed দ্বারা Kunzite. At first, she appeared like a normal, but শীতল Ami (dubbed "Akumi" (悪美; meaning "Evil Beauty") দ্বারা the series production staff). 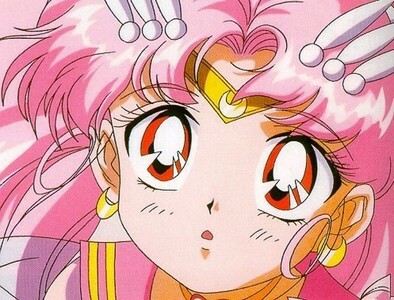 But shortly thereafter she transformed into Dark Mercury, much to the horror of the other Sailor Senshi. Sailor Mercury (セーラーマーキュリー Sērā Mākyurī? ), in Japan, is one of the central characters in the Sailor Moon metaseries. Her real name is Ami Mizuno (水野 亜美 Mizuno Ami?, অথবা Amy Mizuno the English versions), a genius schoolgirl who can transform into one of the series' specialized heroines, the Sailor Senshi. Sailor Mercury is the first member of the Sailor Senshi to be discovered দ্বারা Sailor Moon, and serves as the "brains" of the group. Her powers are associated with phases of water, and she can use her supercomputer to quickly analyze a foe in battle. a comment was made to the poll: Do আপনি like Shun? Would আপনি change club's icon?